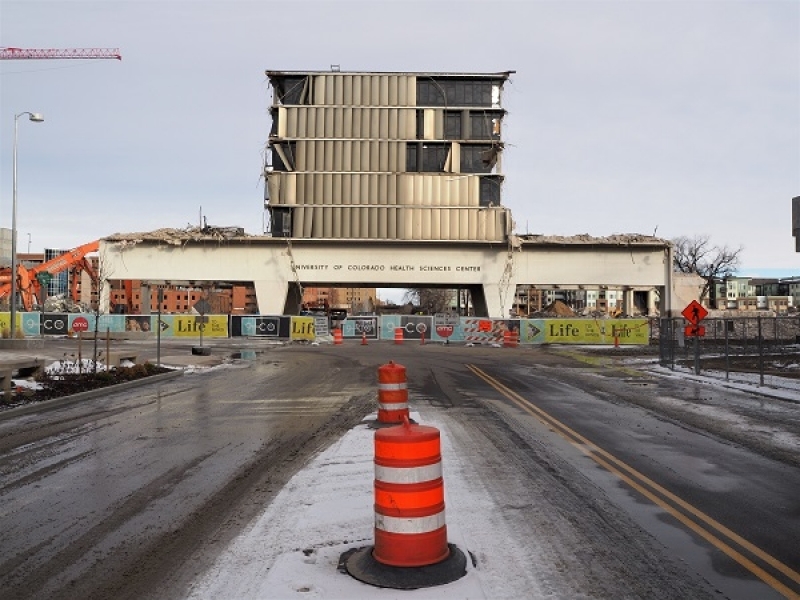 Crews began tearing down the vacant five-story structure that forms a bridge over 9th Avenue shortly after the start of the new year. 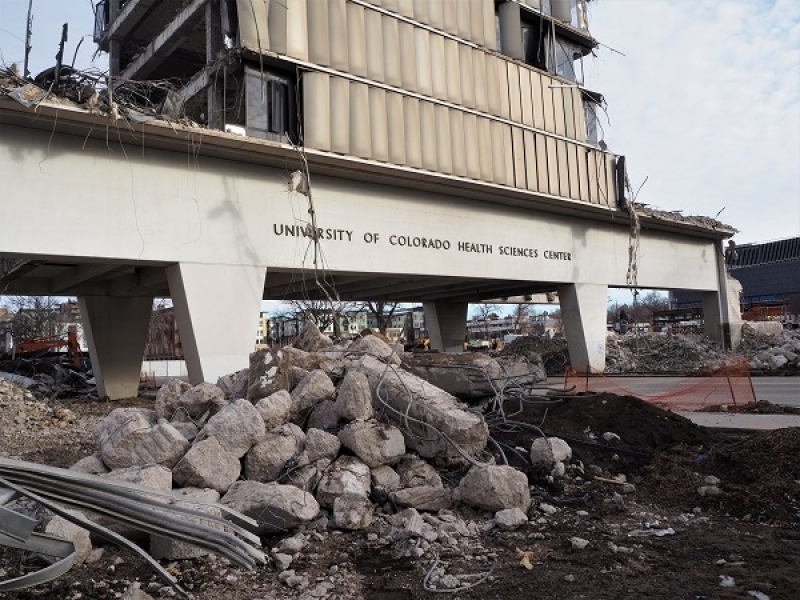 Demolition of the “research bridge” that once was part of the University of Colorado’s Health Sciences Center in Denver is underway. 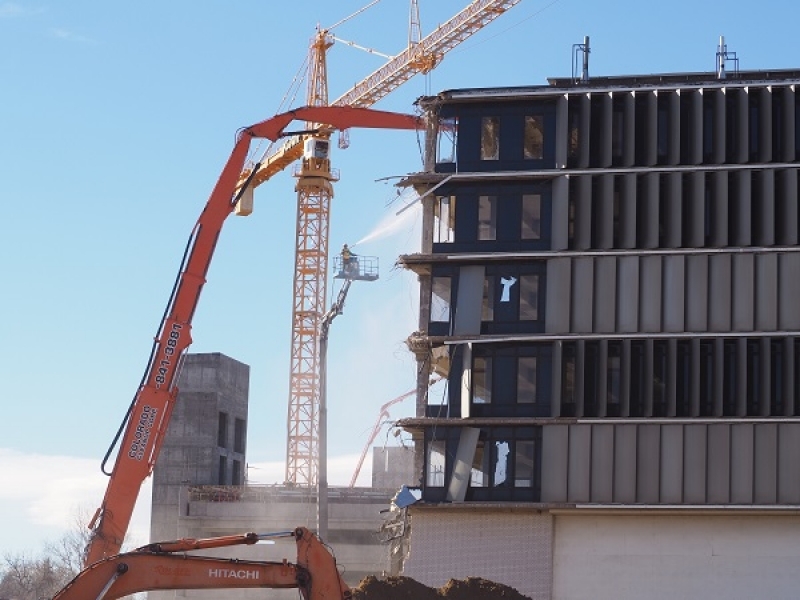 As of last weekend, two-thirds of the structure was gone, although the entire base was still in place. 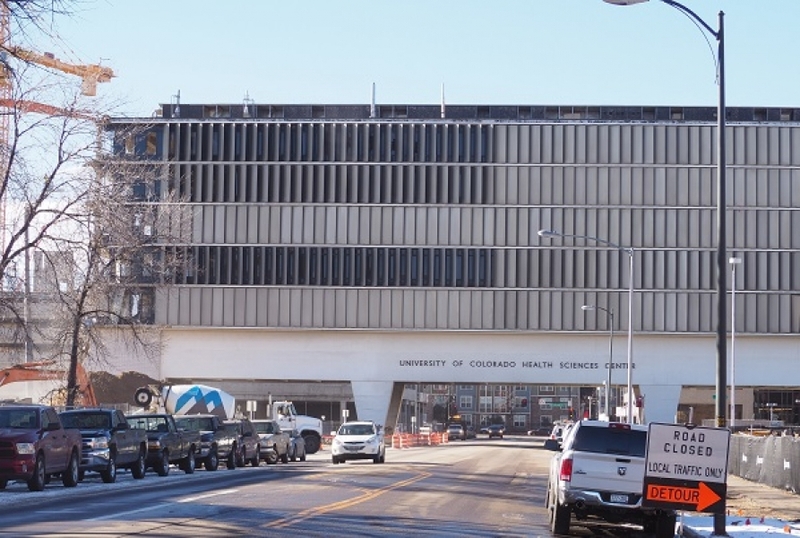 Continuum Partners and CIM Group are redeveloping the former hospital campus, and demolished most of the structures on it years ago. 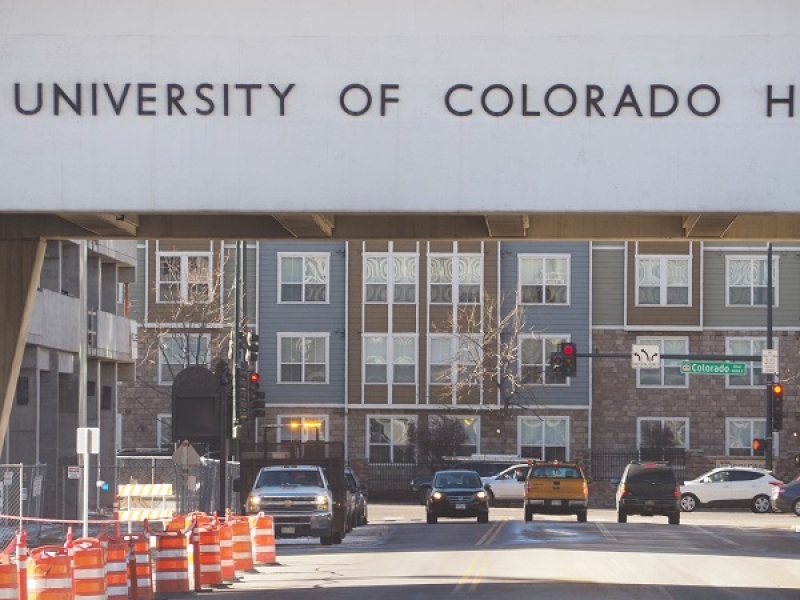 But the developers initially held on to the bridge building, which once held offices and research labs, and mused about possibly turning it into a hotel. By late last year, however, that was off the table. 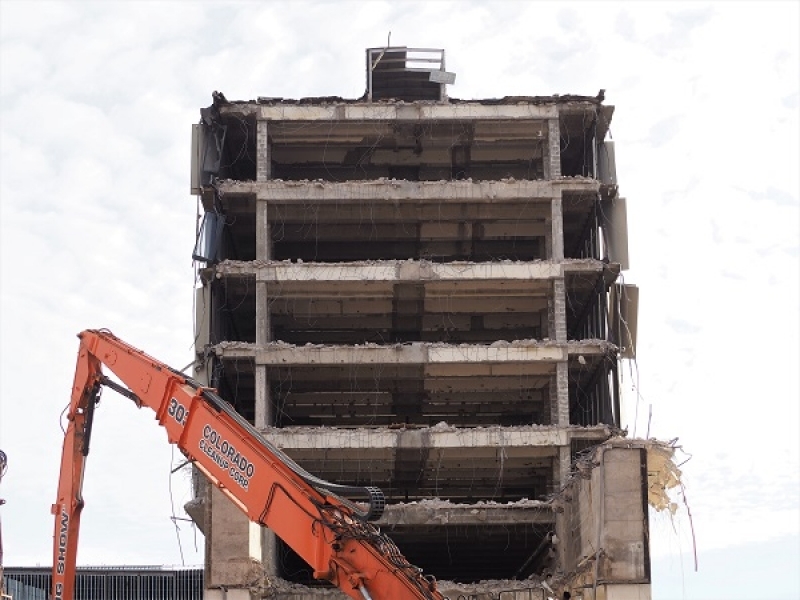 BusinessDen was first to report in December that demolition was impending. 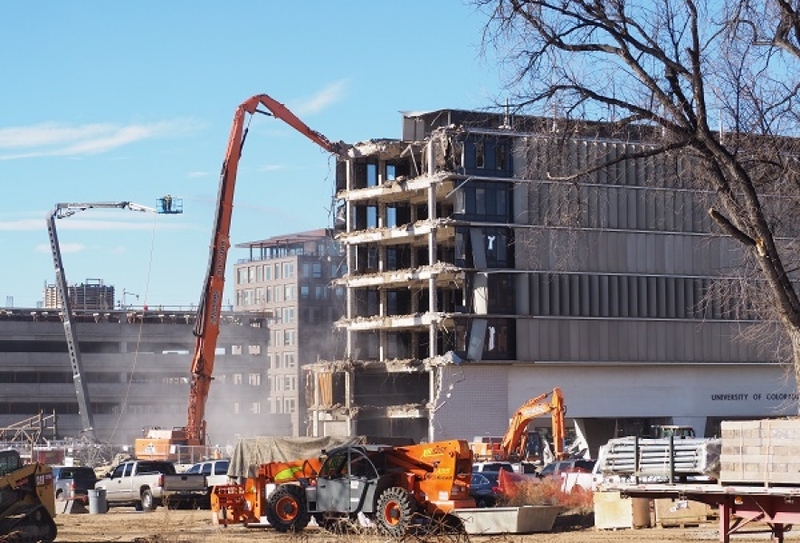 These photos — snapped Friday, Jan. 4, and Saturday, Jan. 26 — show the demolition progress.